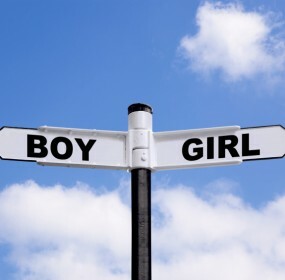 PGD is marketed as the only 100% accurate method of Gender Selection available today. It should be but from following our members over the last couple of years, PGD is not 100% depending on what type of testing your clinic uses. There are now multiple cases, although numbers are still low, of gender opposites from Members in our community. It seems the method of PGD or human error are the culprits but which is it? The labs claim no wrong and the doctors claim they got the information from the lab. How do you know whom to trust? There are different types of PGD on the market today. Things used to be so simple with FISH. It was a like a PGD-lite. Sure, the pregnancy rates stunk but at least we knew if they embryo was a BOY or GIRL. It’s pretty basic with FISH, either both chromosomes light up or they don’t. It requires human error with FISH to have an opposite. Embryos get mislabeled, data gets incorrectly recorded, protocols fail. Now we’ve moved into the new era of PGD, PGD-“Full Version” which can test all of the chromosomes in various levels of detail and we’ve seen some failures. When asked, the RE’s again point to the lab but some blame the test- not enough data and the ‘Y’ chromosome is just too small. Well, why is this still being recommended by some RE’s? Why do they continue to allow certain types of PGD to be used for Gender Selection purposes? Why do we know more than the RE’s? Understanding the way these tests look at the cells isn’t easy. It’s difficult as a consumer to understand what is being done on a scientific level and so it falls to your doctor. This is a rapidly changing field and the doctors need to make sure they are up-to-date on the latest capabilities of the various PGD-“Full-Version” options. Otherwise, please just use FISH and don’t mislabel anything. As always, be your own advocate and ask lots of questions. Don’t assume anything and 100% accuracy can never exist when there are humans involved.